ABINGDON PRESS FICTION ARE STORIES OF FAITH, hope, and love that explore the gray areas of life— the everyday situations that seem to have no clear-cut solution. These stories strive to illuminate the human condition and express God's enduring love and grace for us all. for brief quotations in printed reviews and articles. This book—this series—would not be possible without Barbara Scott, an editor with vision who helped take the series to an even higher level than I'd envisioned. Barbara, you demonstrate your faith with such graciousness and inspire me as a writer and as a person with each contact we have. I feel blessed that we have been able to work together. Laura Lisle also helped improve the manuscript with her editing suggestions. Thanks to my agent, Mary Sue Seymour, for introducing my work to Barbara. You told me how much I would love working with her and you were so right! Linda Byler, an Old Order Amish writer, was once again invaluable for her willingness to check the manuscript for accuracy. Linda, I am so grateful to you for your help. Good luck with your own writing endeavors! Judy Rehm, friend and prayer partner, you are always there with just the right Biblical quote and encouraging word when I need it. Thank you! 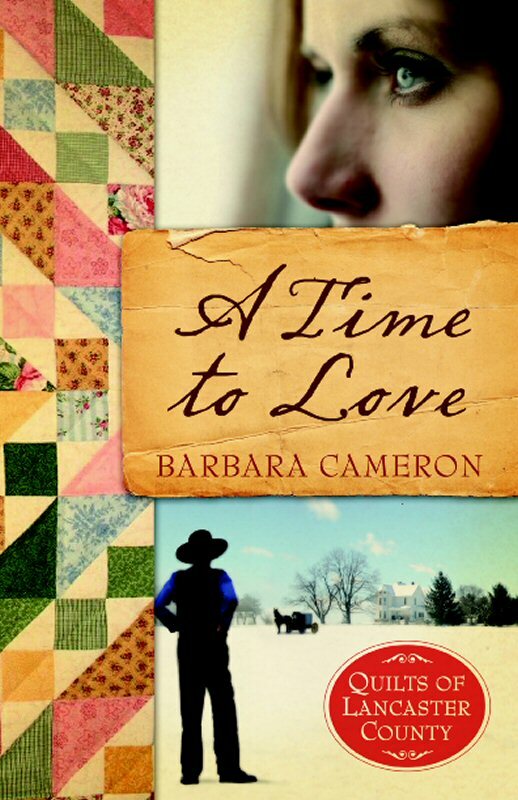 None of my Amish books would have been written if it hadn't been for Mary Cameron taking me to visit the Amish years ago when I visited her in Pennsylvania. Thank you so much, Mary. A big thank you goes to my family for their love and support. You are first and foremost the heart of my world and I love you. No one knows better than you how bumpy and unpredictable the pursuit of a writing career can be. I thank you for always being there for me and encouraging me. I am forever grateful to God for setting me down in a newspaper office when I was a teenager just out of high school. There I discovered how much I loved writing and learning about the world and its people. I am also grateful for His guidance to pursue inspirational fiction several years ago. I truly feel I am writing the stories I'm meant to write. enny woke from a half-doze as the SUV slowed to approach a four-way stop. "No!" she cried. "Don't stop!" "No!" she yelled as she lunged to grab at the steering wheel. David smacked her hands away with one hand and steered with the other. The vehicle swerved and horns blared as he fought to stop. "We're in the States!" he shouted. "Stop it!" Jenny covered her head and waited for the explosion. When it didn't come, she cautiously brought her arms down to look over at David. "We're in the U.S.," he repeated quietly. "Calm down. You're safe." "I'm sorry, I'm so sorry," she whispered. Covering her face, she turned away from him and wished she could crawl into a hole somewhere and hide. He touched her shoulder. "It's okay. I understand." Before he could move the SUV forward, they heard a siren. The sound brought Jenny's head up, and she glanced back fearfully to see a police car. "Pull over!" a voice commanded through the vehicle's loudspeaker. Cursing beneath his breath, David guided the SUV to the side of the road. He reached for his wallet, pulling out his driver's license. A police officer appeared at David's window and looked in. Jenny tried not to flinch as he looked at David, then her. "Driver's license and registration, please." David handed them over. "Officer, I'd like to explain—"
"Stay in your vehicle. I'll be right back," he was told brusquely. When the officer returned, he handed back the identification. "Okay, so you want to explain what that was all about— how you started to run the stop sign and nearly caused an accident?" "It's my fault," Jenny spoke up. "You can't stop at a four-way," she told him in a dull voice. "You could get killed." She drew a quilt more tightly around her shoulders. "You look familiar," the officer said, studying her face for a long moment. "Now I got it. You're that TV reporter, the one who was reporting from overseas, in the war zone—" he stopped. "Oh." He glanced at David. "And you're that network news anchor. What are you doing in these parts?" "Taking her to recuperate at her family's house." The officer glanced back at Jenny. "Didn't know you were Amish. Thought they didn't believe in television." Jenny fingered the quilt. "It's my grandmother," she said, staring ahead. "She's the one who's Amish." She met the officer's gaze. "Please don't give David a ticket. It was my fault. I freaked and grabbed the steering wheel. I didn't want him to stop. But it won't happen again." The officer hesitated then nodded as he touched the brim of his hat. "I have friends who've been through the same thing. Be careful. You've been through enough without getting into a car accident." After returning to his patrol car, the officer pulled out on the road and waved as he passed them. Jenny looked at David. "I'm sorry. I just had a flashback as I woke up, I guess." "It's okay," he told her patiently. "I understand." She sighed and felt herself retreating into her cocoon. He glanced in his rearview mirror and got back onto the road. They drove for a few minutes. She shook her head and then winced at the pain. "No." "Not hungry." Then she glanced at him. "I'm sorry. You must be." He grinned. "Are you remembering that you used to tease me about being hungry all the time?" "Not really," she said. "Lucky guess, since we've been on the road for hours." He frowned but said nothing as he drove. A little while later, he pulled into a restaurant parking lot, shut off the engine, and undid his seat belt. "It'll be good to stretch my legs. C'mon, let's go in and get us a hot meal and some coffee." "You look fine." He put his hand on hers. "Really. Let's go in." Pulling down the visor, she stared into the mirror, and her eyes immediately went to the long scar near her left ear. It still looked red and raw against her too-pale skin. The doctor had said it would fade with time until she'd barely notice it. Later she could wear extra-concealing makeup, but not now, he'd cautioned. The skin needed to heal without makeup being rubbed into it. She looked at him, really looked at him. Though he was smiling at her, there were lines of strain around his mouth, worry in his eyes. He looked so tired, too. "Okay." With a sigh, she loosened her hold on the quilt and rewrapped her muffler higher and tighter around her neck. Buttoning her coat, she drew her hat down and turned to reach for the door handle. David was already there, offering Jenny her cane and a helping hand. When she tried to let go of his hand, he tightened his. "The pavement's icy. Let me help," he said. "Remember, 'Pride goeth before a fall.'" Her eyes widened with amusement as she grinned. " quoting Scripture? What is the world coming to?" "Must be the environment," he said, glancing around. Then his gaze focused on her. "It's good to see you smile." "I haven't had a lot to smile about lately." His eyes were kind. "No. But you're here. And if I said thank God, you wouldn't make a smart remark, would you?" She thought about waking up in the hospital wrapped in her grandmother's quilt and the long days of physical therapy since then. Leaning on the cane, her other hand in David's, she started walking slowly, and her hip screamed in pain with every step. Days like today she felt like she was a hundred instead of in her early thirties. "No," she said, sighing again. "I think the days of smart remarks are over." The diner was warm, and Jenny was grateful to see that there were few customers. A sign invited them to seat themselves, and she sank into the padded booth just far enough from the front door that the cold wind wouldn't blow on them. "Coffee for you folks?" asked the waitress who appeared almost immediately with menus. She turned over their cups and filled them when they nodded. "Looks like we're gonna get some snow tonight." "What are you going to have?" David asked. Jenny lifted her coffee cup but her hand trembled, spilling hot coffee on it. Wincing, she set it down quickly and grabbed a napkin to wipe her hand dry. David got up and returned with a glass of ice water. He dipped his napkin in it and wrapped the cold, wet cloth around her reddened hand. "Better?" "She filled it too full," he reassured her. Reaching for an extra cup on the table, he poured half of her coffee into it. "Try it now." Jenny didn't want the coffee now, but he was trying so hard to help, she felt ungrateful not to drink it. "Time for some more meds, don't you think?" "The pain killers make me fuzzy. I don't like to take them." Sighing, she took out the bottle, shook out the dosage, and took the capsules with a sip of water. "So, what would you like to eat?" asked the waitress. "She'll have two eggs over easy, bacon, waffles, and a large glass of orange juice," he said. "I'll have the three-egg omelet, country ham, hash browns, and biscuits. Oh, and don't forget the honey, honey." The waitress grinned. Then she cocked her head to one side. "Say, you look like that guy on TV." David just returned her grin. "Yeah, so I'm told. That and a dollar'll get me a cup of coffee." She laughed and went to place their order. Growing warm, Jenny shed her coat and the muffler. She sipped at the coffee and felt warmer. When the food came, she bent her head and said a silent prayer of thanks. Then she watched David begin shoveling in food as if he hadn't eaten in days, rather than hours. She lifted her fork and tried to eat. "I like my eggs over easy?" He frowned and stopped eating "Yeah. Do you want me to send them back, get them scrambled or something?" "How did you eat them at the hospital?" She shrugged. "However they brought them." Deciding she might have liked eggs over easy in the past but now they looked kind of disgusting, half raw and runny on the plate, she looked at the waffle. Butter oozed over the top and the syrup was warm. She took a bite. It was heaven, crispy on the outside, warm and fluffy on the inside. The maple syrup was sweet and thick. Bliss. She ate the whole thing and a piece of bacon, too. "Good girl," David said approvingly. "Don't talk to me like I'm a kid," she told him, frowning. "Even if I feel like it." He reached over and took her free hand. "I'm so proud of you. You've learned to walk again, talk again." "I'm not all the way back yet," she said. "I still have memory holes and problems getting the right word out and headaches and double vision now and then. I have a long road ahead of me." David looked out the window. "Speaking of roads . . . as much as I hate to say it, I guess we should get back on it as soon as we can." Jenny turned to where David was looking and watched as an Amish horse-drawn carriage passed by slowly. The man who held the reins glanced over just then and their eyes met. Then he was looking ahead as a car passed in the other lane and the contact was broken. she thought . . .
David turned and got the waitress's attention. As she handed him the check, she noticed Jenny, who immediately looked down at her hands in her lap. "Why, you're that reporter, the one who—"
"Has to get going," David interjected. "She needs to get some rest." She tore a sheet from her order pad and handed it to Jenny with a pen. "Could you give me an autograph while I go ring this up?" She hurried off, sure that her request would be honored. "Could you sign it for me?" Jenny asked David. Nodding, he took the paper and quickly scrawled her signature, then added his in a bold flourish. "Here you go, two for one," he told the waitress when she returned. He tucked a bill under his plate and got up to help Jenny with her coat. The SUV seemed a million miles away, but she made it with his help. Once inside, she sank into the seat, pulled the quilt around her again, and fastened her seat belt. "It'll take just a minute to get warm in here," David told her. Jenny stroked her hand over the quilt. "I'm not cold. . . . I hate those pills," she muttered and felt her eyelids drooping. "Making me sleepy. The waffles . . . lots of carbons." She opened her eyes when he chuckled. Blinking, she tried to think what could be so funny. "Carbs," she corrected herself carefully after a moment, frustrated at the way the brain injury had affected her speech. "Lots of carbs. Don't think I used to eat lots of carbs." "So take a nap," he told her. "You talk too much anyway. "He grinned to prove he was teasing. Smiling, she tried to think of a snappy comeback. They were always so easy for her, especially with David. But then she was falling into a dreamless sleep. Sometime later, she woke when she felt the vehicle stop. "Are we there?" "Stay here," she heard David say, then she heard his door open and felt the brief influx of cold air before it closed. She couldn't seem to wake up, as if her eyes were stuck shut. The door on her side opened, and she heard the click of her seat belt, felt arms lift her. "I can walk," she muttered. He said something she couldn't quite grasp, but his voice was warm and deep and so soothing that she relaxed and let him carry her. And then she was being laid on a soft bed, covers tucked around her. She smiled and sank deeper in dreamless sleep. Jenny woke to find herself in a bed, the quilt spread over her. Bright sunlight was pouring in through the window. The walls of the room were whitewashed and plain. There were few furnishings: an ancient, well-polished chest of drawers was set against one wall, a wooden chair beside the bed. A bookcase held well-worn volumes and a Bible. She sat up and saw someone had propped her cane on the wall near the bed. Grasping it, she walked carefully to the chest of drawers. When she caught a glimpse of herself in its small mirror, she grimaced. Reaching into her purse on top of the chest, she pulled out her hairbrush and drew it through her short, ash-blonde hair. Her face was too thin, the circles beneath her eyes so pronounced she felt she must look like a scarecrow. Even her eyes looked a faded gray. Leaning heavily on her cane, huffing from exertion, she moved back to the bed and climbed into it. Pulling the quilt over her, she waited for her breathing to level. It was so quiet here, so different from her apartment in New York City, which overlooked a busy street.